The bans on gay pride marches in Yalta, Simeiz and Gurzuf have been appealed at the European Court of Human Rights (ECHR), LGBT activist Nikolay Alexeyev said. 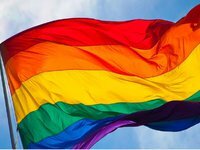 "The bans on gay pride parades in Yalta, Simeiz and Gurzuf, as well as the LGBT pickets in Yalta, Alupka and Gurzuf, planned for October 2017, have been appealed at the European Court of Human Rights," Alexeyev wrote on Twitter. On December 6, 2018, the Russian Supreme Court dismissed the cassation appeal in the case, he said. That was the third appeal regarding Yalta submitted to the ECHR over the past few years, he said. "At present, the campaign for freedom of gatherings for LGBT people covers a total of 350 Russian cities in 81 out of 85 constituent entities of the Russian Federation," Alexeyev said.